Left his families property sometime after his twentieth birthday to work on the Victoria Goldfields. Moved to Daylesford where by day he operated a threshing machine and by night read his beloved books. 1867 – Aged 24 he married French-born Leonie Germaine, together they took over her mother’s farm and vineyard. 1869 – The couple moved to a property in Corop. Due to poor land and a series of droughts Furphy lost the property. 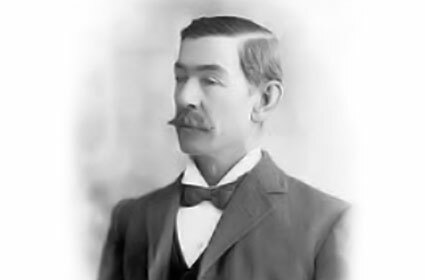 Furphy then worked labouring jobs for several years to support his family. 1878 – Moved to Hay (NSW), established himself as a Bullock Driver. 1883 – Drought and disease wiped out his bullock team. Subsequently he moved to Shepparton with his family to work in his brothers’ successful foundry. 1889 – Furphy was contributing sketches and articles under the pseudonym Warrigal Jack to theBulletin. 1893 – Furphy adopted a pen name based on the fictitious bushman Tom Collins. 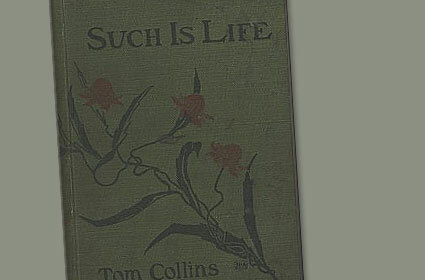 It seems whenever the source of a bush tale was unknown, the way of finding it out was to ask ‘Tom Collins’. 1897 – After several years of working on the manuscript for Such is Life, Furphy sends his manuscript written in copperplate script to the Bulletin hoping for advice. J.F Archibald passes on the script to his literary editor, G.A. Stephens, who immediately recognised its promise. 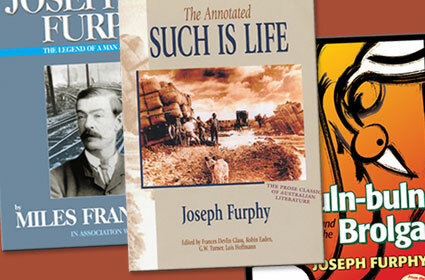 Six years after its initial submission, Such is Life appeared as part of the Bulletin Library series. It had been substantially reduced when it first appeared in 1903, with two large parts omitted. Rigby’s Romance and the Buln Buln and the Brolga were completed but never published in his lifetime, most probably due to the poor public reaction to Such is Life. 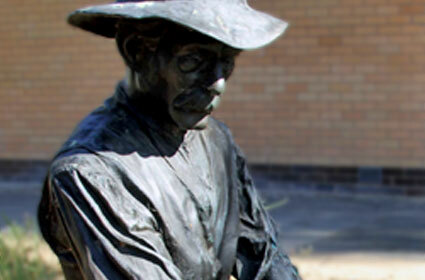 1904 - Furphy finishes working at the Foundry to move to Fremantle to be nearer to his three children. Furphy built his house with his own hands in the suburb of Swanbourne. Since Furphy’s death, the house has been occupied by the West Australian Fellowship of Australian Authors. 1912 - Furphy dies of a brain haemorrhage. Long-time friend Kate Baker spent the next 40 years working to ensure Furphy received recognition for his work. 1921 - Rigby’s Romance , though considerably shortened from its original form, was first published. 1946 - Rigby’s Romance was re-published in full, helping to consolidate Furphy’s reputation.